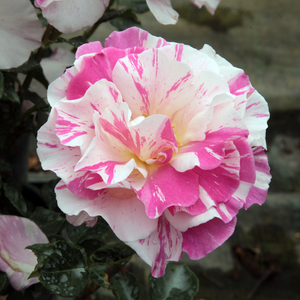 In case of group planting, we can achieve special effect with its striped flower color. 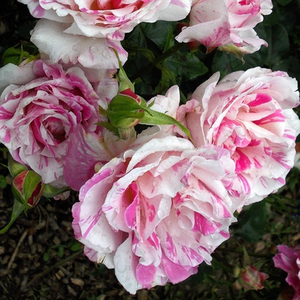 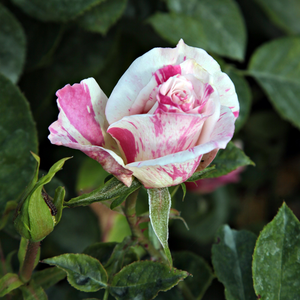 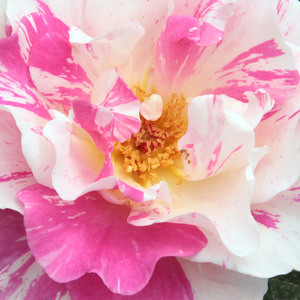 In case of group planting, we can achieve special effect with its striped flower color.Creating higher rose beds which have countinously and abundant blooming. 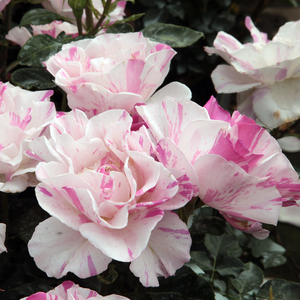 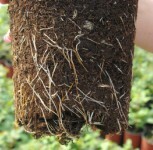 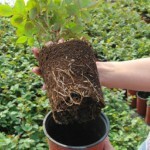 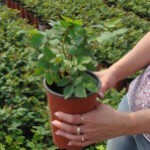 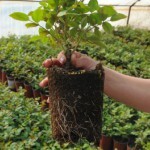 Profile: In case of group planting, we can achieve special effect with its striped flower color.